Since their quiet launch in 2015, The Milkman line of eliquids have grown extremely popular with vapers, especially the cloud chasing crowd. The Milkman’s original flavors were inspired by classic desserts from the 1950’s like milkshakes and pies, but they’ve since expanded their line to include ice creams, custards, puddings, and more. All of their delicious flavors are available only in max VG. Some of our favorite flavors include Churrios, Crumbleberry, and Strudelhaus. For an all day vape that is smooth and milky, check out The Milkman. You’ll be fogging up the room in no time. Known for producing incredibly high quality eliquids, Dinner Lady offer a variety of delectable, max VG flavors. With a focus on pastry flavors like custards, puddings, tarts, and pies, dessert lovers will fall in love from the first draw. All of Dinner Lady’s ejuices are made with a 70/30 VG/PG ratio. This means smooth hits and, of course, huge clouds. Some tasty flavors to try include Lemon Tart, Strawberry Custard, and Blackberry Crumble. Dinner Lady’s flavor profiles are extremely accurate and definitely among the best max VG ejuices available. Beard Vape Co was founded in 2014. Today, they’re one of the most well-known and admired e-juice brands around. While not all of their ejuices are high VG, the ones that they do carry are super good and vary from 70/30 VG/PG to 85/15 VG/PG for massive clouds. Some of our favorite max VG flavors from Beard Vape Co include #51 (custard), #24 (salted caramel malt), and #64 (blue raspberry and hibiscus). Beard Vape Co are one of the most reputable ejuice manufacturers around, and their high VG ejuices definitely hit the mark for flavor and vapor production. Kind Juice craft all of their ejuices using only 100% natural and organic ingredients, and without the use propylene glycol. This means that their ejuices are free of artificial ingredients and chemicals, and perfect for someone with a PG allergy or sensitivity. All of their flavors are very good, and will have you coming back for more. The max VG composition of their eliquids make for some smooth hits and dense clouds, and are very enjoyable to vape on all day. Some flavors to try include Once In A Blue Moon, 5 O’Clock Somewhere, and Geisha Moon Song for a delicious, PG-free vape. Another all-natural ejuice company, Velvet Clouds eliquids are vegan friendly, and free of preservatives, GMOs, gluten, sweeteners, or colorings. All of their flavors are max VG at 90/10 or better VG/PG. Cloud production is not an issue with these eliquids. Some must-try flavors from Velvet Cloud Vapor include Harvest Berry, Strawb-Gwab, and Vanilla Custard. If you haven’t given them a try, you should. They might just become your new favorite max VG ejuice. Yogi Eliquid produce some of the finest eliquids around, and they’re all max VG. Using high-quality ingredients, interesting blends, and complex research, their flavors deliver a unique and interesting experience to the palate. One of their best flavors is their Original Yogi, a traditional, sweet granola bar. Some other great flavors from Yogi Eliquid include Blueberry Yogi, Peanut Butter Banana, and Strawberry. Max VG ejuices are any ejuice containing more than 70/30 VG/PG. More specifically, max VG eliquids are those that cannot have any more VG added to them, as PG is typically the base for most flavorings. Thus, most ejuices will have at least some PG in them. Typically max VG ejuices will be at least a 80/20 VG/PG ratio, but some are as high as 90/10 VG/PG! Why Vape 100% VG Ejuice? There are many reason to vape max VG ejuice. One is if you’re sensitive to PG or just don’t like the throat hit of high PG ejuice. VG provides a very smooth draw, and will not give the throat hit that PG is known for. Max VG eliquids are also the go-to if you want gigantic clouds of vapor. 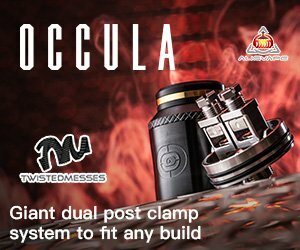 Cloud chasers and those in cloud and trick competitions like max VG ejuices because they work great in sub-ohm devices, and produce ridiculous clouds. The term 100% VG ejuice is a little bit misleading, because it’s not possible to have an ejuice that is flavored and 100% VG. This is because most flavors need PG as a base. While some ejuices are made using 100% VG and no PG, if they’re flavored then they have other ingredients as well. Max VG will have some PG present, but it will be the minimal amount needed to provide flavor. 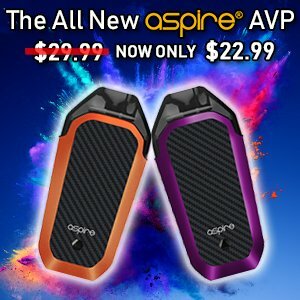 What Vapes Work Best With Max VG Eliquid?